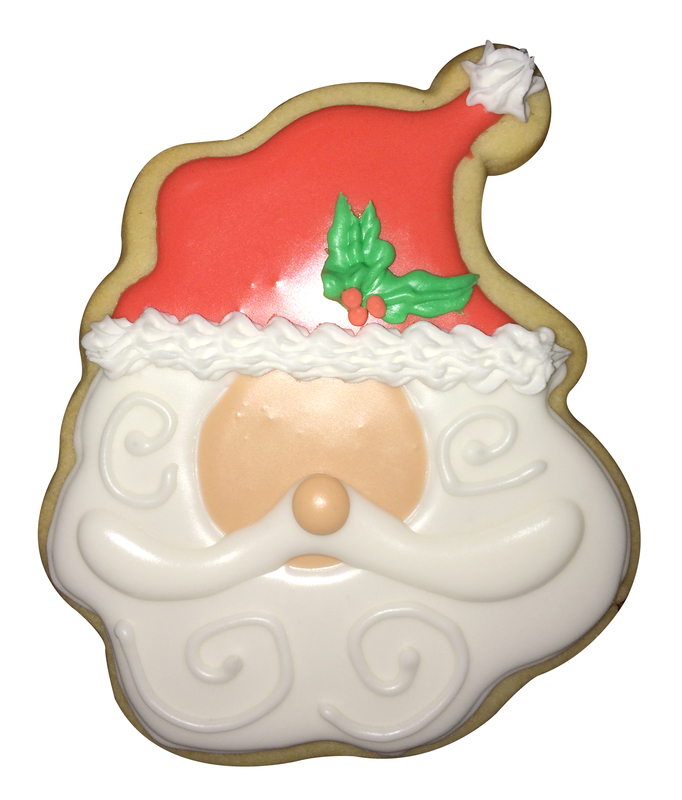 Santa Sugar Cookies: Decorating Start to Finish! Hi and Happy New Year! I hope everyone enjoyed 2013 and that 2014 is full of love, good health, joy and laughter. 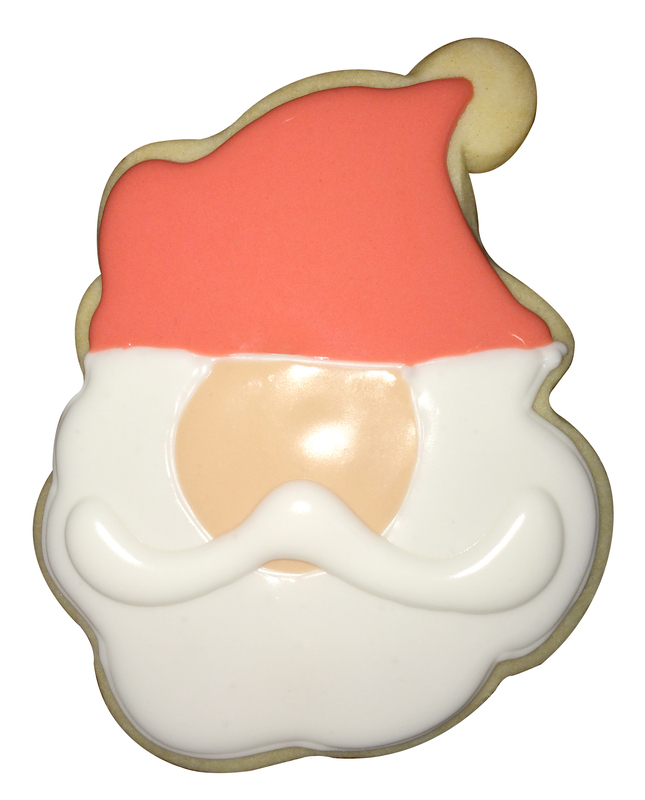 For my first post of the year I’m going to show the steps I took to decorate my Christmas Santa Cookies. 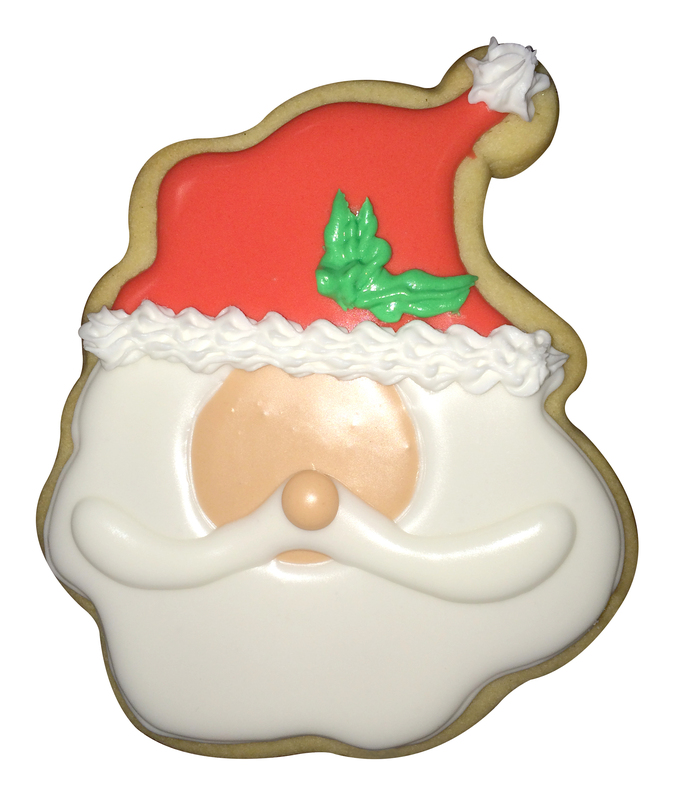 Yes, I know Christmas is over, but I never seem to have enough time to post my cookies before, so I decided I will be posting them in January and you can use them for next year…oops I mean this year! Many times people think I’m crazy for spending the time decorating cookies when they are just going to be eaten. I have to say these were the most involved ones I have ever decorated. 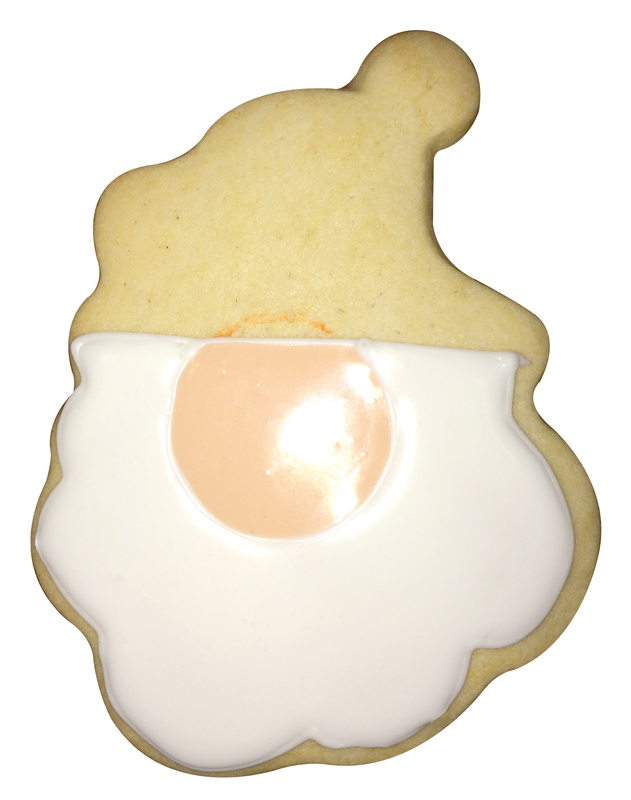 With several layers to show detail, these cookies took on a LONG time. But, it was also lots of fun and a technique I have been wanting to try for a long time. 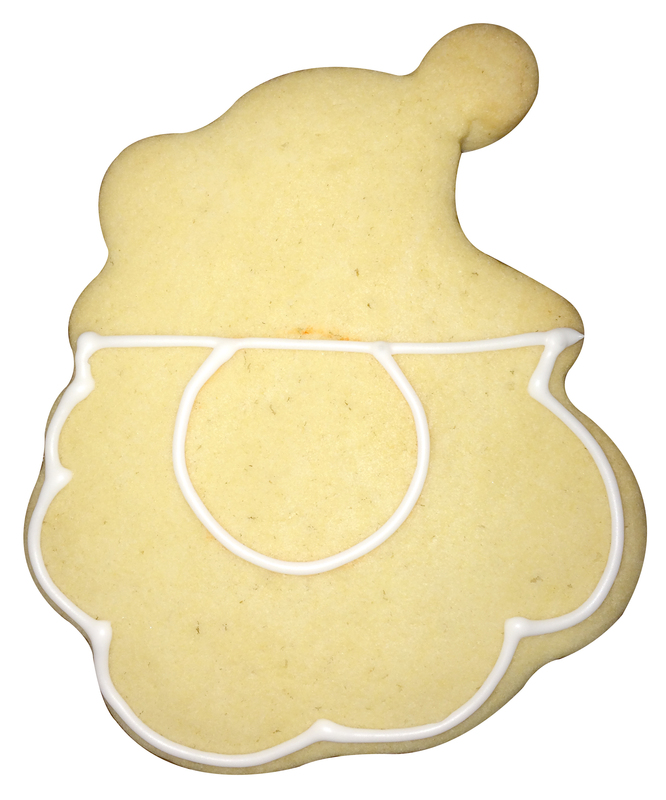 When you begin any layering design, take some time to plan out the order you’re icing your cookies. This will help in making the icing colors and consistencies you need. I didn’t make all of my icings ahead of time, which I would do next time, because I think it would have been more efficient. You will also be mixing different consistencies of the same color. 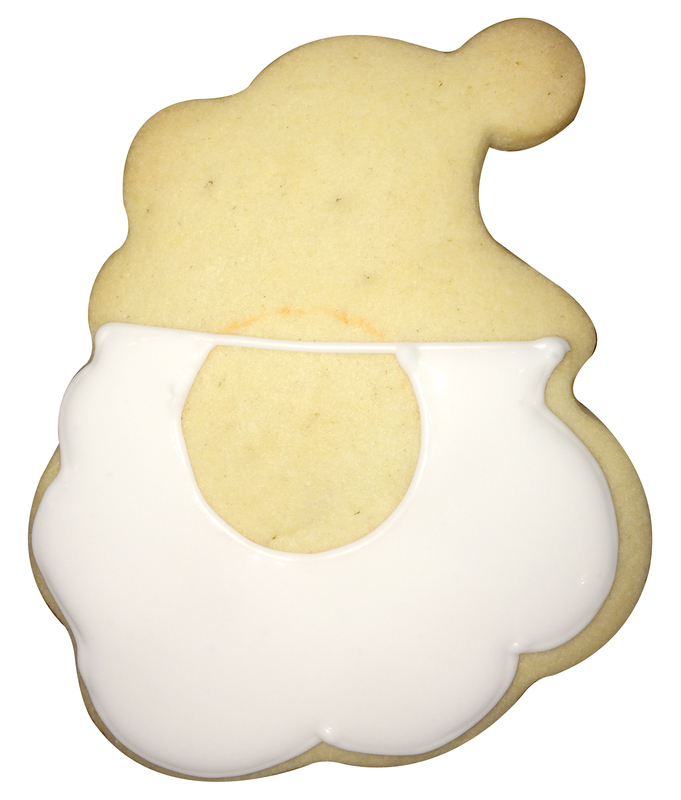 I actually made three different consistencies of the white icing…one for outlining, one for flooding, and one for the piping on the hat. For some reason I didn’t remember to take a photo of the actual first step…sorry and duh! 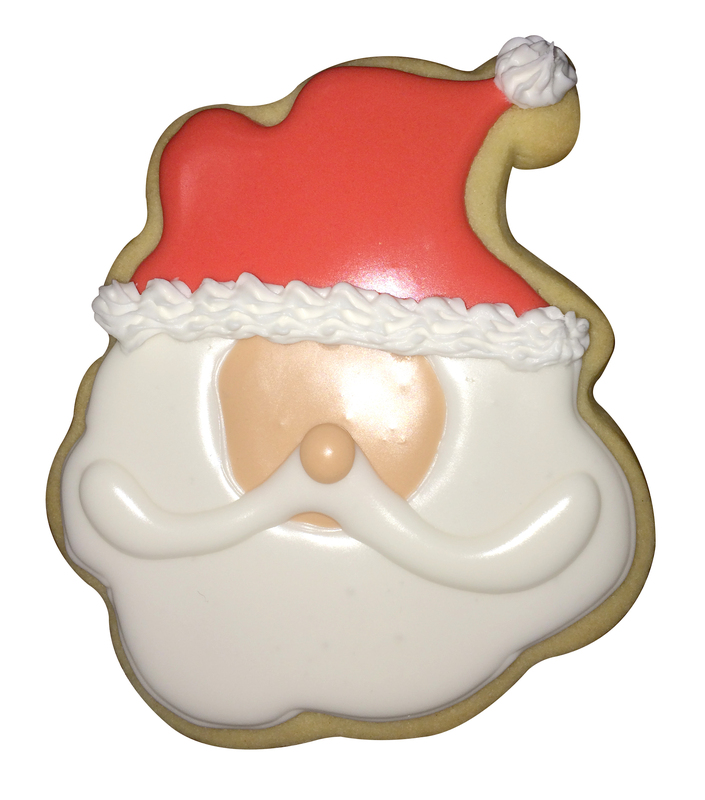 This step was to mark where I wanted the Santa face by using an orange decorating marker to draw a circle on the cookie. I traced the circle using a round cookie cutter. I just started drawing details on my cookies and it truly helps so much! BTW, I used royal icing to decorate with. 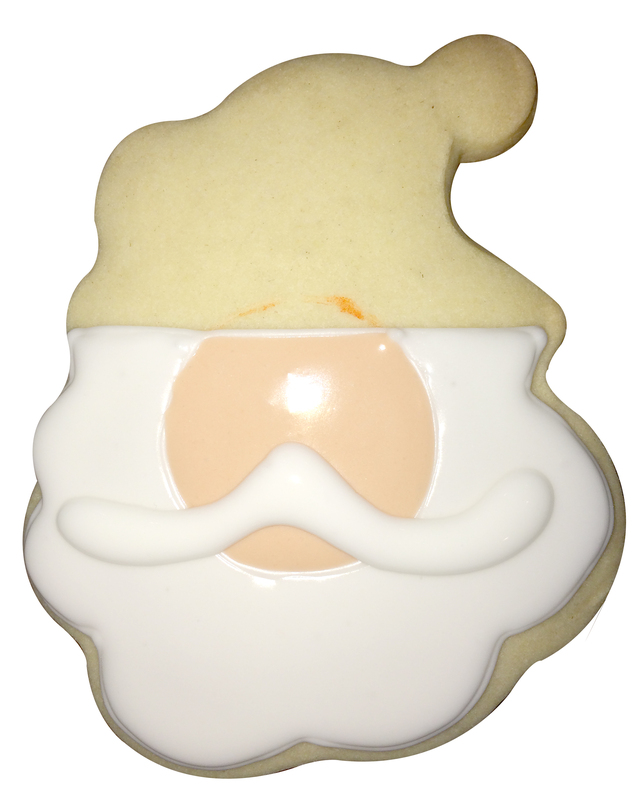 Step 4: After the beard and face icing has hardened slightly*, draw mustache with the flood white icing. 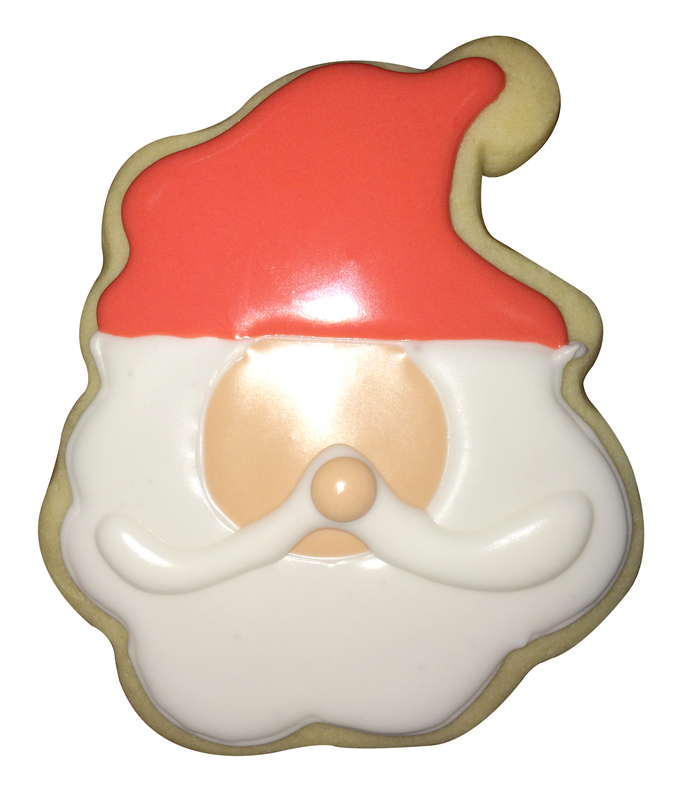 I made my white flood icing a little thick, because I knew I wanted to use it for the mustache. Step 11: The final step…drum roll…add the eyes and eyebrow with a black decorating marker…not a sharpie as my husband suggested. I told you it took a LONG time! But in the end I think it was worth it! 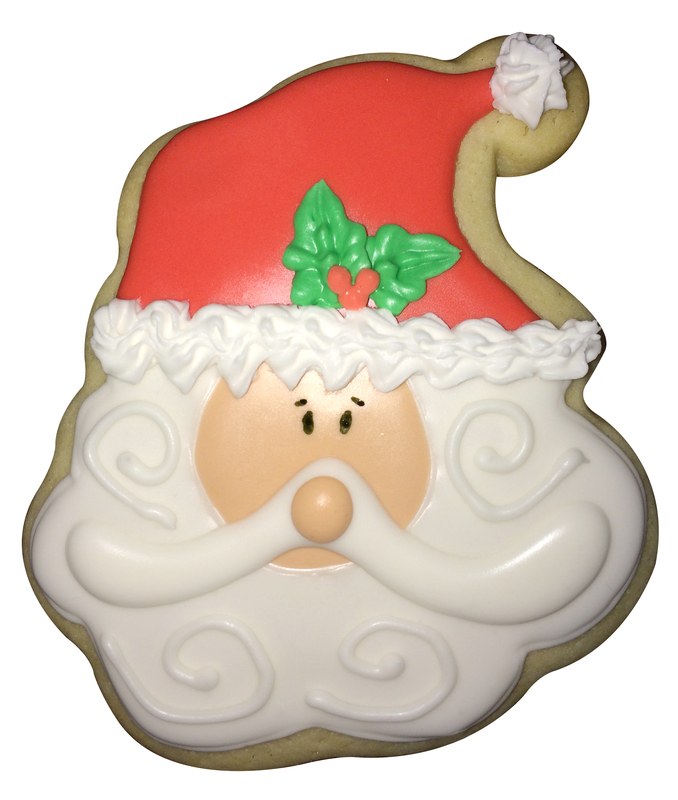 I hope you enjoy decorating/eating some of your own cookies and that this post helps a little! Before I forget, I want to point out that these cookies were inspired by Chapix Cookies, which creates some of the most beautiful cookies I have ever seen. Although my cookies are not neatly as perfect as theirs, I was pretty happy with them. 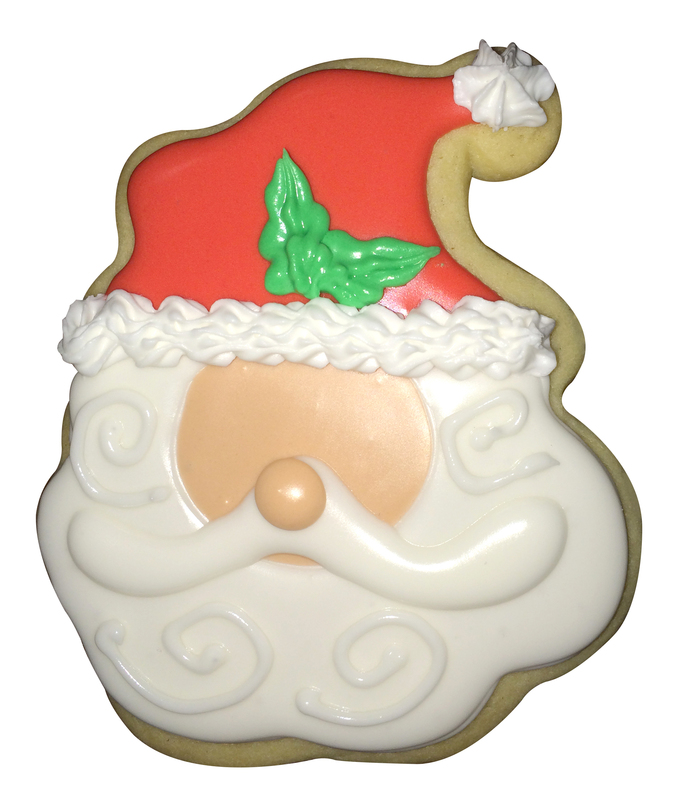 This entry was posted in Cookies and tagged cookie decorating, cookies, cutout cookie, cutout cookies, decorate cookies, decorated sugar cookies, icing, royal icing, santa cookie by recipes2luv. Bookmark the permalink.